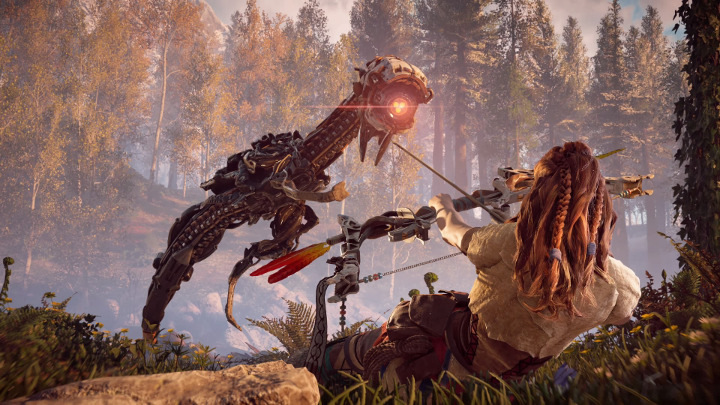 Horizon Zero Dawn first caught my attention when the game was first announced at E3 back in 2015. The game, we learned, takes place in a post-apocalypse — but this isn’t the kind of post-apocalypse we’ve seen a million times before. This is something different. Here, machines have taken over the planet, and mankind has fallen back to a tribal, superstitious state. So what happened to the machines? Well, they became giant robot dinosaurs, of course. 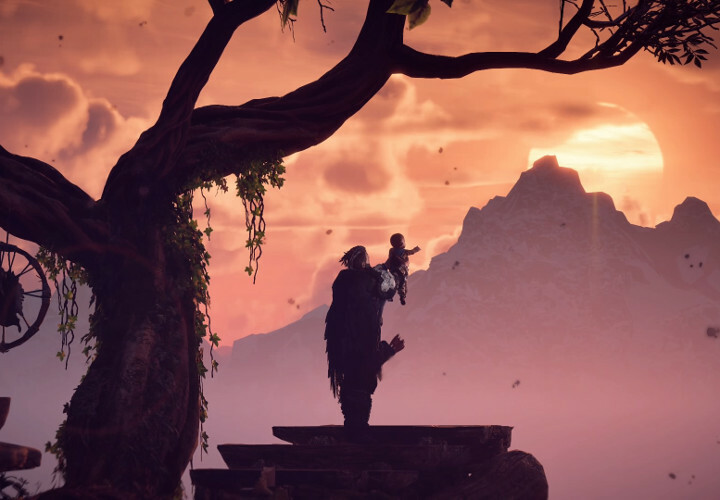 Of course, I spent the past year and a half being nervous that Guerrilla Games wouldn’t possibly be able to deliver on the promise of something that seemed so groundbreaking at first glance. But now that I’ve played a few hours of the game, I can say that they absolutely did deliver. 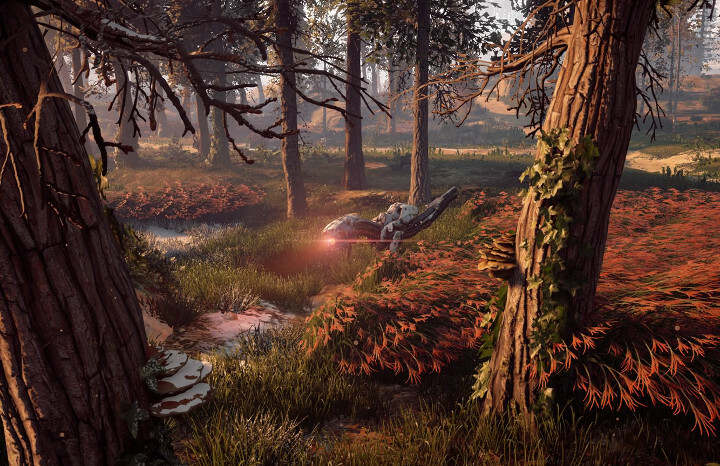 The game world is gorgeous, and the future version of Colorado is rendered in excruciating detail. It’s especially fun to look at when the orange hues of the sunrise sort of transform the whole environment into a golden dreamworld. Of course, I do have a visual complaint: the characters move like claymation. I can’t tell if that’s a deliberate stylistic choice or if Guerrilla just tried way too hard, desperate to press through the uncanny valley only to crash the car just before the exit. It’s weird; sometimes I kind of dig it, and sometimes it just looks downright weird. My eyes keep telling me there’s something off about the framerate; it’s like pieces of each character sort of jitter around the screen instead of moving fluidly along with the rest of their bodies. The story so far is interesting, though it’s moving a little bit slowly. That’s partially my fault, I suppose, since I find myself wandering around the game world idly for way far longer than I typically would in an open world game. I’m constantly snooping around, revisiting areas I’ve already seen, hunting everything I possibly can, and climbing whatever looks climbable. I’ve even been snapping shots of wildlife. It’s kind of an addiction. 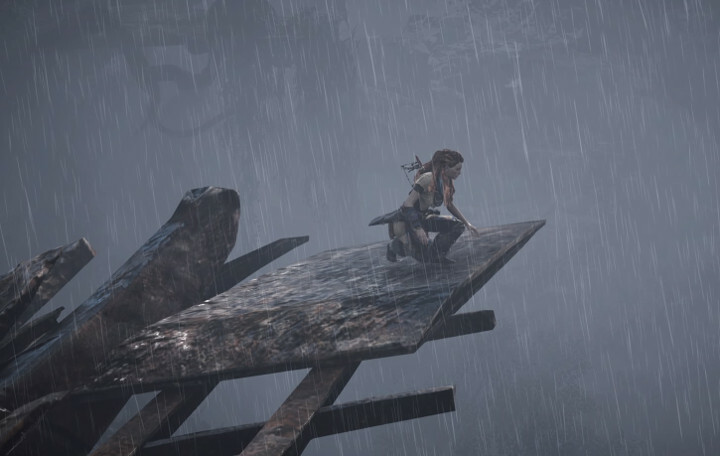 And part of this is because of the game’s Photo Mode, which lets you pause the game at any time to get a great photo. You can move the camera around (for a limited distance), zoom in and out, spin around an axis point, and then remove the user interface. You’re left with a beautiful shot that’s framed exactly how you want it. You’ll be snapping photos like you’re working for National Geographic. So far, I’ve barely seen what the game has to offer. I’m maybe four hours in and I’ve only left the starting area once, briefly, to complete a quest necessary to move the story along. The sense of wonder is still fresh, and nothing feels tedious quite yet. But I’ll let you know how I feel about it all once I get into the true meat of the game.